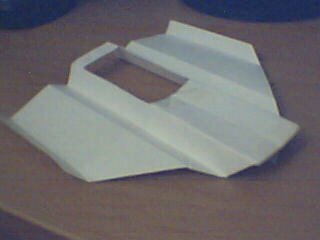 This is the picture of an unusual paper airplane I came up with. I think it is a great glider, since it flies very smoothly, and its shape gives it stability in the air. Plus, it looks good. I might post instructions in the future.